Coach Sebastien Migne has trimmed Harambee Stars’ squad ahead of Saturday’s Afcon 2019 qualifier against Black Stars of Ghana at the Kasarani Stadium. 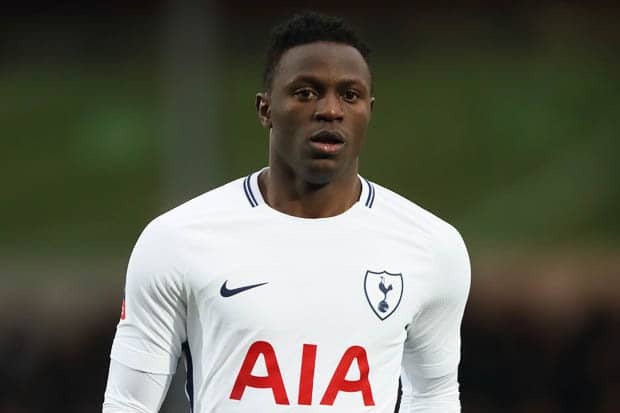 Conspicuously missing in the final list of 24 is Tottenham’s midfielder Victor Wanyama. The 27-year-old, who is returning from a nagging injury did not make the trip to Nairobi following doctor’s advice, according to a report. Among players axed from the team that reported to camp Monday are Gor Mahia duo of Samuel Onyango and George “Blackberry” Odhiambo and AFC Leopards on-form midfielder Whyvonne Isuza. Bandari FC custodian Faruk Shikalo who boasts 18 clean sheets in the Kenyan Premier League thus far made the cut so has his teammate Abdalla Hassan. Arrival of foreign-based professionals including Japan-based striker Michael Olunga and Johanna Omollo of Belgium lifted the spirit of the camp. Stars cannot afford two losses on the trot having went down 2-1 away to Sierra Leone in their opening Group F match if they want to keep Afcon 2019 dream alive. Meanwhile, the Saturday opponents have been sharpening in the neighboring Ethiopia and as at last evening all players had reported to camp except Colombus Crew’s defender Harrison Afful. Patrick Matasi, Farouk Shikalo, Ian Otieno. Philemon Otieno, Jockins Atudo, Dennis Odhiambo, Joash Onyango, Benard Ochieng, Abud Omar, David Ochieng, Eric Ouma, Joseph Okumu, Musa Mohammed, David Owino. Francis Kahata, Abdallah Hassan, Anthony Akumu, Eric Johanna, Ismail Gonzalez, Johanna Omollo. Piston Mutamba, Jesse Were, Michael Olunga, Ovella Ochieng.